Carolina Fransson is a professional horse trainer and behavior consultant. 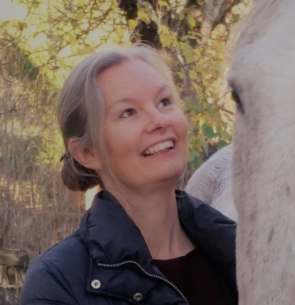 She has studied behavioral science and is teaching horse owners and people working in the horse industry how basic knowledge in applied behavior analysis can be used to enhance horse welfare and improve the horse-human interaction and relationship. She has trained horses with reward based methods for 15 years and gives lessons and courses in different applications such as riding and husbandry training.